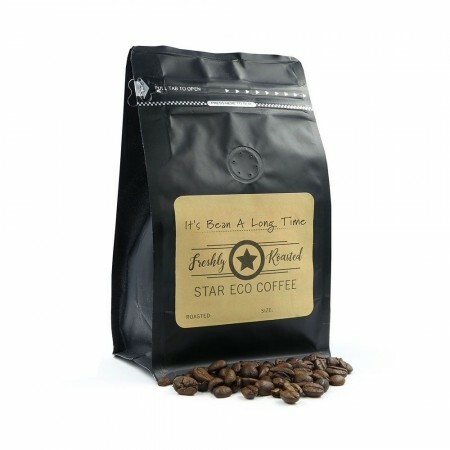 This coffee is the perfect reusable coffee capsule grind for use in your Pod Star Reusable Stainless Steel Coffee Pod. A fairtrade, organic coffee from Brazil that is naturally processed and organically produced. Delicately sweet, with mellow caramel and sweet fruit flavours. The Pod Star Reusable Stainless Steel Coffee Pod requires a number 2 grind in order to make the perfect cup of coffee. This means that packaged coffee from the supermarket that is ground for espresso machines is not suitable for use with Pod Star pods. Make your morning cup with this fairtrade, organic Brazilian coffee instead! Using ground coffee in a reusable coffee pod is less wasteful than traditional coffee pods. Estate grown coffee, meaning that all of the beans are grown on the same farm. Coffee has a medium-soft body with light acidity. Delicately sweet, with mellow caramel and sweet fruit flavours. A long finish, to leave you satisfied for longer. Organic, fairtrade coffee ground to a number 2 grind. Organic and fairtrade is a winner. Lasted for more reusable pod refills than I expected. I just don't know how to get rid of the packaging afterwards.